Westworld is a new Sci-Fi/Western based on the 1973 movie of the same name. The premise is the same, a futuristic theme park where guests play cowboys in a simulated wild west and where all the inhabitants are played by life like androids called hosts but the tone of this series is a lot darker that the original film. 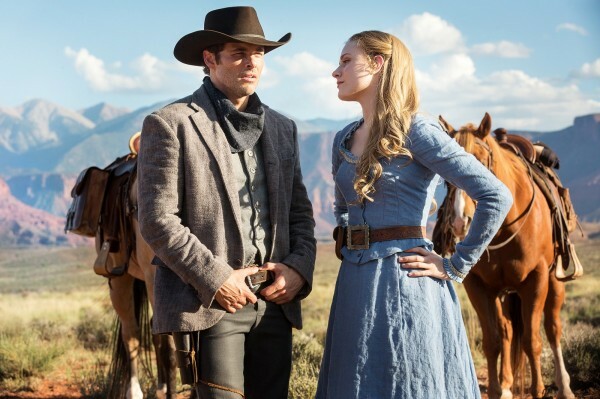 The show starts with Delores Abernathy (Evan Rachel Wood), a young woman who lives on farm with her parents, also Teddy (James Marsden) who we find has a romantic history with Delores. After they meet and spend the day together they head back to Delores' farm where they find a gunfight has taken place and Delores father has been killed. 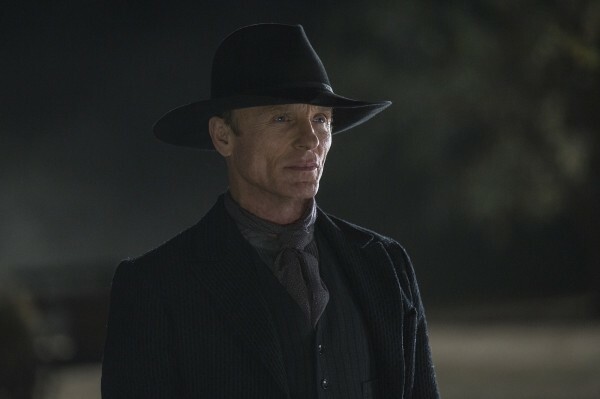 After Teddy kills the bandits a man in black appears (played by Ed Harris) and we find that Delores and Teddy are both hosts and host are incapable of hurting real people (the man in black is real). In a sinister turn the man in black kills Teddy and drags Delores off to a barn and you realise how truly dark this series is going to be. 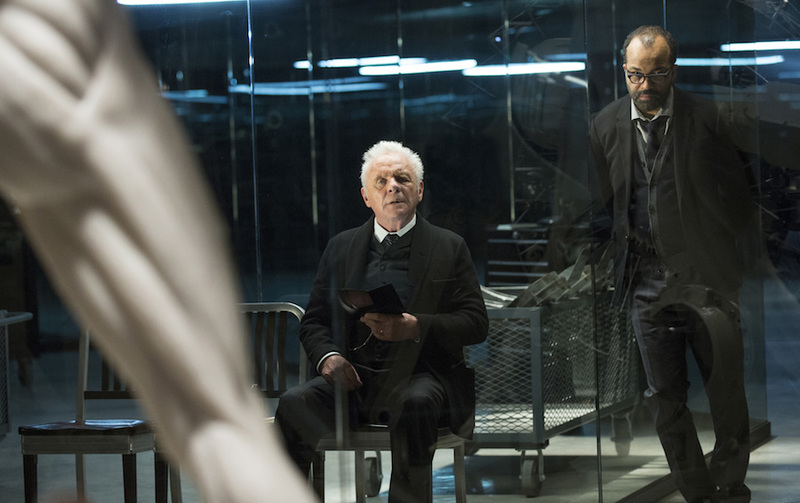 Next we meet Bernard Lowe (Jeffrey Wright) who is head of programming at Westworld who is working on a host who has had a recent software update. 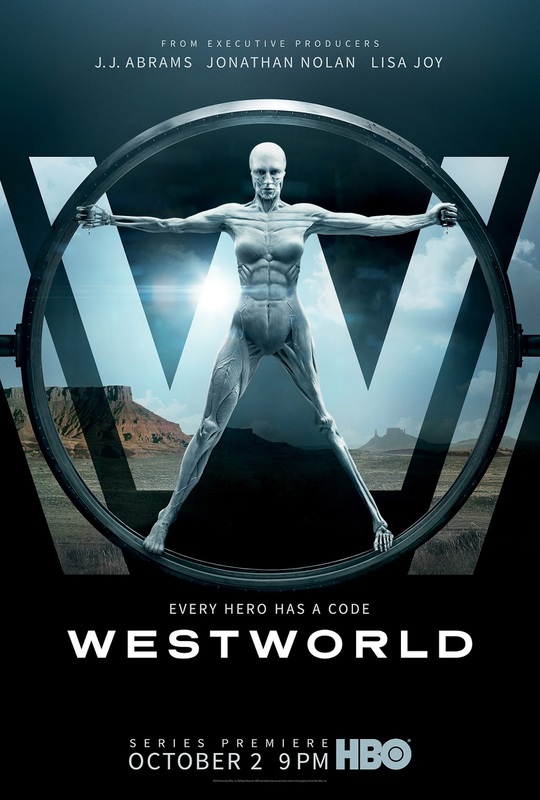 He then follows a security team as they go to the basement where all of the decommissioned hosts are kept and he find the founder of Westworld Dr Robert Ford (Anthony Hopkins) who is talking to an old host and after a conversation with Bernard seems distant and uninterested in the way Westworld is headed. Back in Westworld one of the hosts malfunctions in what looks like they're having a stroke and after some investigation it turns out the recent update has caused the problem. After a few more hosts malfunction they people in charge of Westworld have to recall the the affected hosts so they decide to have one of the bad guy hosts stage a robbery at the saloon. As the updated hosts are interrogated there is a unnerving creepiness as unintended personalities emerge from older programming. The affected hosts are decommissioned and sent to a holding room with other previously decommissioned units in a truly haunting scene. On a side note, the soundtrack was also amazing with western styled versions of Black Hole Sun by Soundgarden and Paint it Black By The Rolling Stones and the show ends with Ain't No Grave by Johnny Cash. Here is the trailer for episode 2 'Chestnut'. You know I've been hearing a lot about this show. I'm going to have to check it out. Currently on a Sons of Anarchy marathon though!